Lewis is the co-owner of CrossFit OFC and started doing CrossFit in March 2012. "I love the competition of the sport! Besides the challenging workouts, I love the challenge of testing myself day in and day out. I'm passionate in my training and teaching of CrossFit to my team members. I believe CrossFit will bring healthy lifestyle changes." Lewis is available every week night at CrossFit OFC. Bobby is the co-owner of CrossFit OFC. Whether you are young or young at heart Bobby is passionate about helping you to achieve your fitness goals. "I love to go to CrossFit OFC, it is my home away from home. 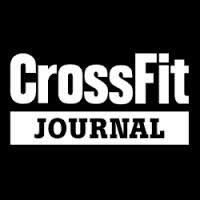 I love to work with people and kids, that is what makes us a CrossFit Community." Bobby also teaches kids karate classes at CrossFit OFC and has been doing martial arts for 25 years. "CrossFit has made a big impact on my way of life. Always being challenged by different wods, and always challenging myself." In Bobby's spare time he likes to compete in a variety of athletic competitions such as the Des Moines and Honolulu Marathons, 70.3 Ironman, Hy-Vee Triathlon, MAT Games and many others. Bobby is at the gym every week night and Sunday mornings. Kathi has been an athlete all her life. She coaches the noon class every Monday thru Friday and is also there for the Saturday morning class. In addition to CrossFit, Kathi loves to bike, swim, hike and golf. She has competed several triathlons and even a half Ironman. Bob has been a fixture in our CrossFit gym since the beginning. Although he is not coaching a class he still helps any and all that ask and fills in whenever he's needed. He has a true passion for helping people to achieve their fitness goals and is a constant source of motivation. Hanna is the newest edition to our coaching staff. You can find Hanna working out everyday at noon and coaching most nights. She has a deep love of CrossFit that is obvious to anyone who knows her and she uses that to educate and motivate our athletes. Cindy is one of the original noon class participants and can usually be found there everyday. Cindy enjoys coaching whenever needed. She loves to encourage others, make workouts that work for everyone, working out with her husband and children and sharing from her own experience. In Cindy’s own words she “went from a non-athlete to loving Crossfit”. Travis has been part of the gym for years and can be found most evenings working out. Travis coaches a few mornings a week or filling in whenever needed. He is always working to improve his own performance and is glad to share what he is learning.